Not everyone thinks of citrus fruits as “winter fruits.” But that’s when oranges, grapefruits, tangerines, lemons and limes are often at their peak. And that’s a good thing, because there’s nothing that brightens up any season – but especially winter – than a classic French lemon tart. Any bakery in Paris will have a Tarte au citron on offer. Some are on the sweet side, others tart. I like mine tart for sure and when I search for lemons at my market, I choose the plumpest, juiciest ones I can find. 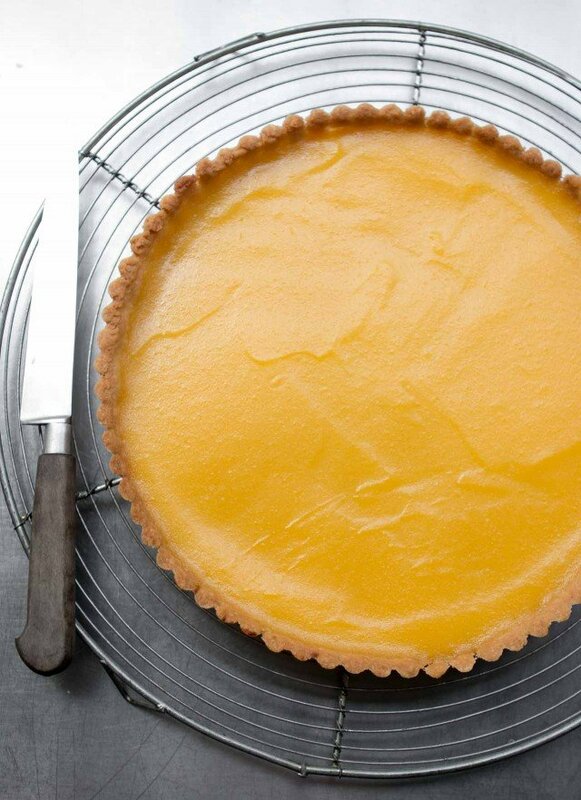 Fortunately good lemons are available just about anywhere, so anyone can make this tart. Most of us don’t even have to wait until winter! I juiced my lemons, cracked some eggs, and got to work on the tart. For the base, I used Paule’s pastry dough, which is so easy to make and hasn’t failed me yet. It’s delicious and buttery, and goes particularly well with the tangy lemon topping. I cooked the filling, a sunny, luscious lemon curd, on the stovetop with the fragrant zest of the lemons, then poured the warm filling through a strainer to make it as smooth as possible. One could pipe whipped cream on it or top it with meringue. To do so, let it cool and spread or pipe whipped cream over the top or serve a dollop alongside. If you want to give a go at meringue, check out my Lime Meringue Tart recipe or the marshmallow topping that I use on my Pumpkin Pie with Marshmallow Topping. Both are delicious, but just as it is – or as the French say, nature – is just fine with me. I recently updated this recipe to increase the amount of filling and I dialed down the sugar a little. You can taste the filling after it’s made and if it’s too tangy, add up to 1/4 cup (50g) more sugar, if you wish. If you find that you have a bit too much filling for your tart shell (they seem to vary), any remaining lemon filling that you don’t use can be spread on toast, fresh biscuits, or scones. 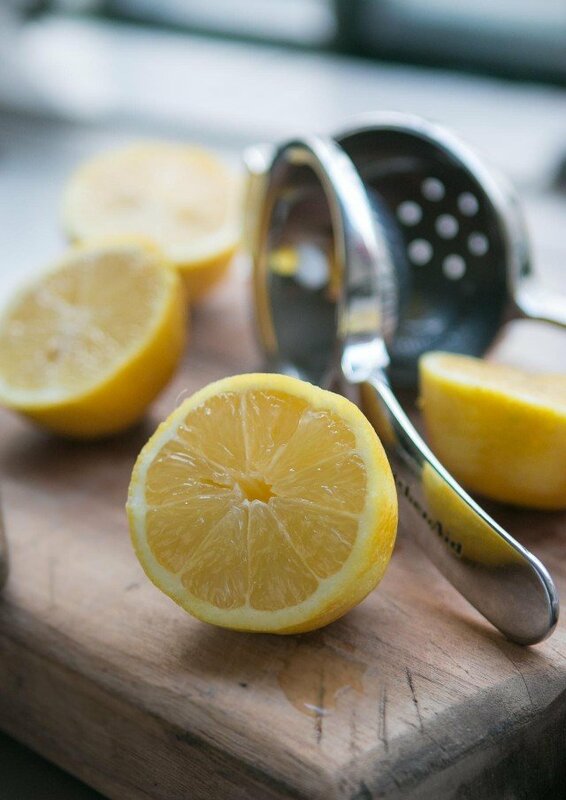 You could substitute fresh lime juice for the lemon, and if you have Meyer lemons, reduce the sugar to 1/2 cup (100g). 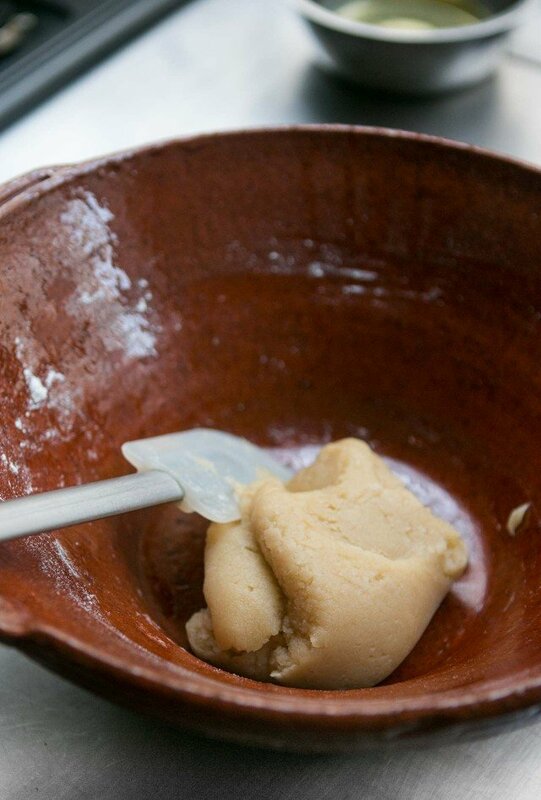 You can use a favorite tart dough recipe, or the one I’ve linked to. 1. 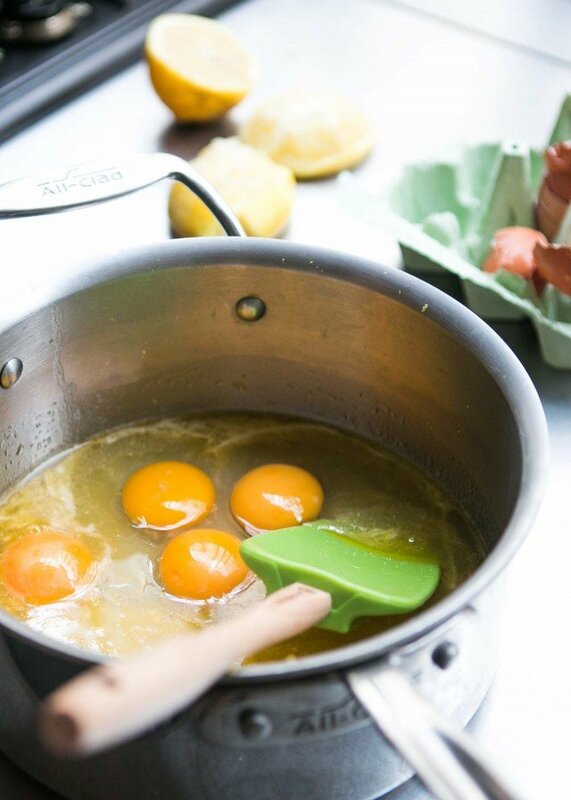 In a medium-sized non-reactive saucepan, heat the lemon juice, zest, sugar, butter, eggs and egg yolks. Have a mesh strainer nearby. 2. Stir until the butter is melted, then whisk the mixture continuously until the mixture thickens and holds its shape when you lift some of it up with the whisk and it visibly mounds up when dropped back down over the rest of the mixture in the saucepan. It should just take a few minute. 3. 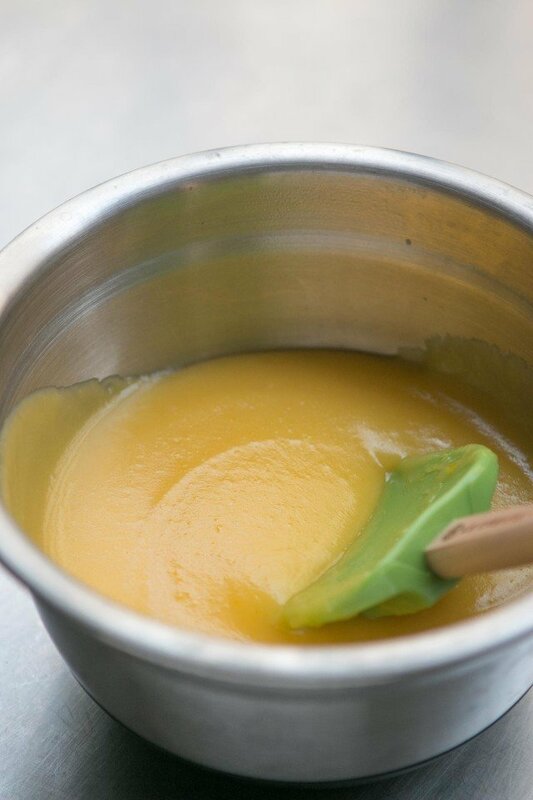 Pour the warm lemon curd though a strainer into a bowl (or directly into the tart shell), scraping with a rubber spatula to press it through. 4. Smooth the lemon filling in the prebaked tart shell and pop it in the oven until the curd is just set. It’ll take about 5 to 6 minutes. 5. Remove from the oven and let cool before slicing and serving. Lemon tarts are in the air…still have one left from this weekend. The picture with the lemons on the “torchon” is gorgeous. No meringue or cream for me…just plenty of lemons and zest! I can’t believe you call it modest. It looks absolutely spectacular! And I bet it is yummy. Yeah, don’t say “big pile o’ curd”. Lovely lemon tart. Lovely pictures. Lemon tart is one of my favourites, frugal but indulgent at the same time. Nice photos. Egg yolks in the freezer? Seriously? You can freeze egg yolks? I am ashamed – all I got are two empty ice cube trays….. The only things in my freezer that I actually use are chicken stock and pastry dough. Everything else there in there is as likely as Walt Disney to ever see the light of day again. ps: I love this tart with a thin layer of almondy frangipane baked into the bottom of the shell. Lemon must be in the air. I just made mini lemon bundt cakes over the weekend, and I normally don’t even like lemon desserts! Is an ice cube in the morning one of your “perks”- or one of your “quirks”? After reading your site for the past half a year, I feel like I can justly classify you with the more quirky bunch. But maybe I’m wrong. Just taking a break from the kitchen after making lemon curd for the first time. It was so delicious, I couldn’t stop tasting it! And then I see this recipe!! Gorgeous! Thank you! It’s such a gorgeous, deep-gold color – thanks for sharing! I think that it is quite reasonable to consider an ice cube in a drink to be a perk in this country… Tarte au Citron is one of my favorites. You have a beautiful tarte there. Now, I am remembering all the egg whites I threw away because they had spent too much time in my refrigerator. I did not know we could keep yolks and egg whites in the freezer for so long! So many missed meringues! How long do they keep? 4 months? 1 year? what a darling recipe with frozen egg yolks, & i didn’t even know that egg yolks could be frozen! That 1st picture is awesome. David, that tart looks so perfectly beautiful it is a work of art! that has to be the most picture perfect lemon tart I’ve ever laid eyes on. simply stunning! 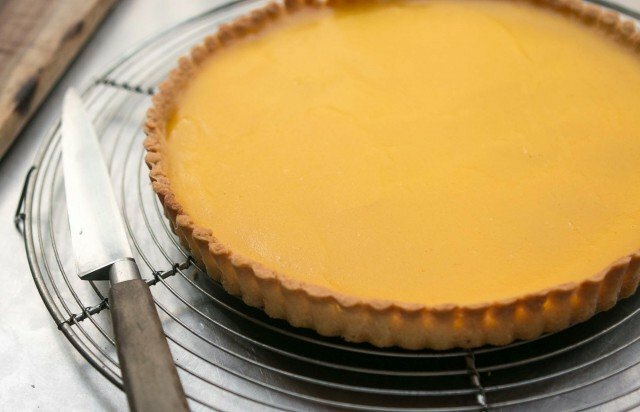 I love the colour of the lemon curd and a very beautiful tart! I’m a sucker for anything with lemon. Love the idea of freezing egg yolks. I’ll try that. I hate to waste anything. Très belle tarte au citron. Thanks for sharing. Wow that lemon tart looks so so yumm. I learned something new, i didn’t know we could freeze in egg yolks. What’s funny is that because I make so much ice cream, I always have tons of white leftover. That I had two yolks trolling around in the freezer was pretty odd. This was the perfect recipe to use them up. Whew! I love your blog! 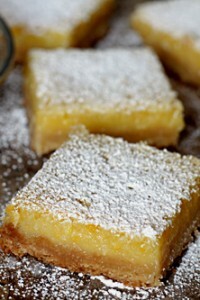 I don’t even much like lemon desserts, but this one certainly looks luscious.. Your recipe is almost the identical ingredient list I used for the Lemon Sabayon I made for Paule’s tart shell that I experimented with when you presented it. The method of cooking it is different,. It was Thomas Keller’s Lemon Sabayon recipe. It used 3/4 cup of sugar though. I guess it was my neighbors Eureka lemons because, Buddy, that was one tart, Tart! I could barely eat it, until I piled on the whipped cream, that is. What’s the difference between a Sabyone and a Curd, or is it just the place of origins’ name that’s different? I have to tell you, that tart crust is so easy and so crisp and flakey that I’ve been all over the net searching for a variety of fillings. It was the first Tart I ever made, and I want to experiment now! Ooooh, that tart pastry looks absolutely perfect. And that lemon filling is pure lemon. What a delicious way to clean out the freezer! tartE mon cher David. French difficult language, I know. Looks like a very tasty tarte au citron, you tarte. The Figaro has declared the tarte au citron de CARL MARLETTI ( 51, rue Censier) the best Tarte au citron of Paris. I’m sure your tarte au citron is at least as good as that one !!! “two egg yolks just trolling around” hahaha you kill me. With the door closed and the light off I can just imagine those two egg yolks hopping around inside the freezer trying to see what kind of trouble they can get into. Oooh…so beautiful! I’ve been craving exactly this dessert lately, although the version I’ve been wanting has a very very thin layer of dark chocolate underneath the curd. That is a lovely, just perfect tart shell! YES! Someone else that puts ice in their orange juice, yay! GORGEOUS! You could probably sell that for 40$ in any of my local neighborhood gourmet markets. I want a dollop of fresh, lightly sweetened, whip cream on my slice please. I’ll know when I become a real cook/baker when I save everything I don’t use like your two frozen yolks from the Jurassic period. Me, I dabble, and whatever is left over or unused I toss. When I try to be creative and frugal my fridge just looks messy and then I don’t cook. I wait for something to go almost bad then throw it all out and start over again with a clean slate/fridge freezer. Perhaps it’s a bit of OCD?!?! Anyways, I recently read Matt’s blog with his fridge pictured in a lovely photo and article. He’s a real cook. I aspire to be like him. Your lemons alone looked delicious. I hate sprayed waxy coated produce. I think there are generations of Americans who don’t know what real produce is supposed to look like. Scary…..
David, I too put ice in my OJ, also even in milk. Love those c-o-l-d beverages. Tart looks delish! Bernadette: We must be Portuguese, because when I was in Lisbon, almost everyone put ice in their orange juice, too! Laura: Chocolate would be good, although there’s something to be said for just a clean, neat wedge of perfect lemon tart. And this was certainly it. Mmmmm…I have four yolks left behind from a Mother’s Day Pavlova! 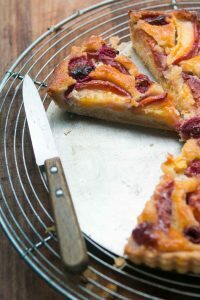 Your tart crust is so beautifully thin! That sounds like a come on, which it’s not (maybe). I really have to clean out my freezer. This comment is brought to you by the word, “disjointed”. Thanks, you answered my burning question. I was wondering if the dough froze well! the lemon tart looks lovely! hooray for forgotten egg yolks! great pictures….as always! I just discovered your blog and am loving it because it takes me back to the 80s my husband and I lived in Geneva for 2 years. I think all current and former expats can relate to eachothers experiences, no matter what country they live(d) in, and reading your entries makes me smile, laugh, and recall many wonderful (and not so wonderful) memories we have our our time overseas. It’s also amazing how little things change over there! Looks fantastic! But, don’t scare me again by letting a precious tart hang over the edge of the counter that way. Too scary! Well, David, you’ll have to start from scratch. Keller’s recipe calls for 2 eggs and two egg yolks, cold! So fridge’em up before you start! My mouth is puckering just looking at it!! That “tarte” is absolutely gorgeous! And I bet it tastes incredibly good…. Thanks, David! Your entry made my day! It’s always great to read your blog! It’s usually the highlight of the day for me. That lemon tart looks yummy! Will have to consider whether to make it for my next baking project since I happen to have lemons in my fridge. Holy Mackerel! This is one incredibly delicious tarte! I made it tonight with fresh blackberries & raspberries and freshly whipped cream. I like fruit deserts that are that and intense; I’ll skip the super sugary ones. And this fits the bill. I added three drops of lemon extract (yes, I like it THAT tart) and it was such a lovely contrast with the sweet berries and fresh cream. Thank you for the lovely recipe and the very simple and delicious dough recipe as well! My dinner guests were very happy, as was I.
Kerrin: Yes, I saw that. (I was at Jacques yesterday and he told me he was #2.) Odd that Chef Felder says to put cream in tarte au citron, but the lemon tarts in Paris that I’ve had were on the sweet side, and indeed, more creamy. I prefer them puckery-tart. I did go to that pastry shop mentioned and wasn’t all that wild about it. But maybe I need to re-investigate! Annie: Yow! More lemon? This lemon oil is pretty delicious, too. It’s pure oil from the skins–and a little goes a lo-o-o-ong way. fethiye: At the end of the post, I linked to a page about how to do it. They can be mixed with a small amount of sugar and frozen in a small container, or just in plastic wrap, then foil. I made one like this for friends topped with 65% Green and Blacks long finger curls and it was gorgeous and delicious! Just boil water and put the pan direct in the freezer and let the ice melt above and under. If you have a big freezer, put a pan with boiling water on every shelf. And change the water with new/ hot as it cools down. “any filling that you don’t use can be spread on toast, fresh biscuits, or scones” You forgot to mention spreading it on a spoon or finger…. I love your blog and get so excited when there’s an update..
Yummy! I love lemon tart. Thank you for pointing out the link! I love saving my whites and use them for pavlova. Hmm,maybe time for it again! Gorgeous! Not sure I would have been able to cut into it~ It’s too pretty. Favorite line: “big pile o’ curd”. I’m going to think about it every time I make lemon curd now. Omgosh I can’t stop laughing. Perfection. Bonus points for using up something from the back of your freezer! now, seeing this lemon tart is sending my heart racing. oh my gosh, i can barely wait. my tart pan is 9.5 inches. will that still work for your recipe or do you think i need to adjust down the ingredients? Did you use sugar in the yolks or the corn syrup mentioned in your link? I’ve always frozen whites but not yolks. Just wondering if the corn syrup might be better. I once read that if you just sprinkled them with salt or sugar you could freeze but as I anticipated, that just drew the moisture out so that when they were defrosted I was left with two golden gelatinous orbs that were like soft cooked yolks. The phrase “big pile” might be better saved for those healthy scones! Wow, I made this today and topped it with warm blueberry sauce….it was the perfect blend of flavors…thanks for the recipe! Marianne: I LOVE blueberries. Unfortunately they’re pretty rare here in Paris. They are available in small barquettes (plastic containers) but you only get a few, and pay a lot for them. I miss those big baskets of blueberries..
Martha & Sarah: Ok, I can see ice in orange juice. (In fact, I see it every morning.) But ice in milk does sound funny to me. But iced coffee sounds perfectly normal. Go figure! Darin: I don’t add sugar, but most folks say that you should to keep them from getting grainy. To be honest, I rarely have leftover yolks…like you…I always have whites, which don’t need anything. I was a pastry chef in an Asian restaurant and the chefs were always giving me buckets of yolks because they used the whites for various dishes. For a pastry chef, it was heaven! Although a fairly-rich one..
David, I love the image of you cleaning the freezer at 7AM in your jammies! That is too precious!! You should have included THAT photo! Your photos are the bomb! I just keep coming back to look at them. So lovely! Not sure if you got my tweet about making and posting a version of your tart shell with caramelized pineapples. Gods it was so good! Just had a slice again a few minutes ago from the one I made yesterday morning, and the pastry is still holding up. Love it!!! Hi Paula: That’s a great idea using caramelized pineapple. I could see making this with lime curd, and topping it with fresh or caramelized mangoes as well. Fabulous..although I think I’d better keep pics of me in my jammies to myself! Often if there are questions, others might have the same ones, and it’s nice to share the answers with all. Am happy to get comments, goofy stuff, random thoughts, and passing notes on Twitter. Merci! Oooooh… how about passion fruit…? Now, see what you have gone and started. It’s tart mania around here!!! This was my first time baking a sweet tart and you’ve helped make it a success! It looked and tasted absolutely delicious :) Thanks ever so much! J’adore lemon tarts! I love how your filling looks just about right — I, too, dislike lemon tarts that are big, thick piles of yellow. Can’t wait to try this…I’d love to hear what uses you found for the other forgotten items in your freezer! Loved your recent post about Paule’s pie crust! Unaware of your plans, it inspired me to post my own lemon tarte recipe on my blog (On My Plate) today. The recipe is based on the one Paule taught me years ago and is very similar to yours, but slightly richer (more eggs!) and with different treatment of lemon juice and egg whites. Is this grounds for a bake off? I just finished reading The Sweet Life……it was wonderful!! Such an easy and entertaining read. I thoroughly enjoyed it! I will be linking it on my blog! Maybe when we come to Paris in Sept we can have a drink together! ABSOLUTELY DELICIOUS!!!!! (I used sour cream though – instead of the butter for the filling) . Funny, when I first read this I had just sat down after making a cheesecake with a layer of lemon curd on top. I put a hefty tablespoon of lemon zest in the cheesecake filling, too, just in case it wasn’t lemony enough. Wow, never dreamed of the reaction it would get when served to my friends at bridge! 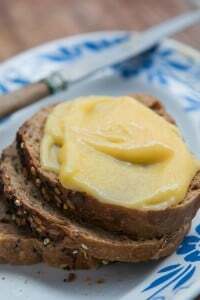 Lemon curd is one of those terrible addictions that are made worse by how easy they are to obtain. I’ve had the accidental frozen egg in my old frig that thawed and cooked just fine, so freezing parts seems reasonable to me. Can’t help but think of the fertility clinics and how unbelievable it is that those fertilized eggs and sperm are still viable. But, why the 2 cup amounts of whites? David, what recipes do you them in? My quest for the perfect tarte au citron comes second only to my life-long search for the perfect chocolate cake; this one might be le beau idéal. Do you end up making a lot of meringues, David, or angel food cake, or macarons, or what? Made the tart today, it was great. LOVE the crust, thanks for sharing. I want to make a chocolate tart, would you recommend par baking the shell before adding choc custard to bake (bakes about 25 minutes), or baking all at same time, or can I even use this dough for baked tarts? Thanks, I love your blog and check it everyday. Kathy: I freeze them in 2 cup quantities because that’s the size of the plastic container I always store egg whites in, for some unknown reason. Sandy: I make a lot of my chocolate coconut macaroons. I often double the recipe and freeze half of the batter. I want to make an angel food cake soon, but I don’t have an angel food cake pan so I’ll need to improvise, but I’m going to wait until berry season is in full swing since I love berries and angel food cake! amy: I always pre-baked tart shells, unless they’re going to be filled with fruit filling and topped with crust, like my Easy Jam Tart. Carey: Glad you’re enjoying the book on the e-reader. I don’t have one, yet, but I do hope to get one in the future. I love lemon tart and it is a favourite dessert of many. Although I never made it the way you made it as lemon curd tart which looks very nice indeed. Mine are usually based on a custard type filling, although they are a bit fiddly to cook. I think the essence of a good lemon tart is that it not only has to taste good, but it should also look smooth and mirror like when it comes to the table and yours just is gorgeous in that respect. Love your site. Excellent and informative. 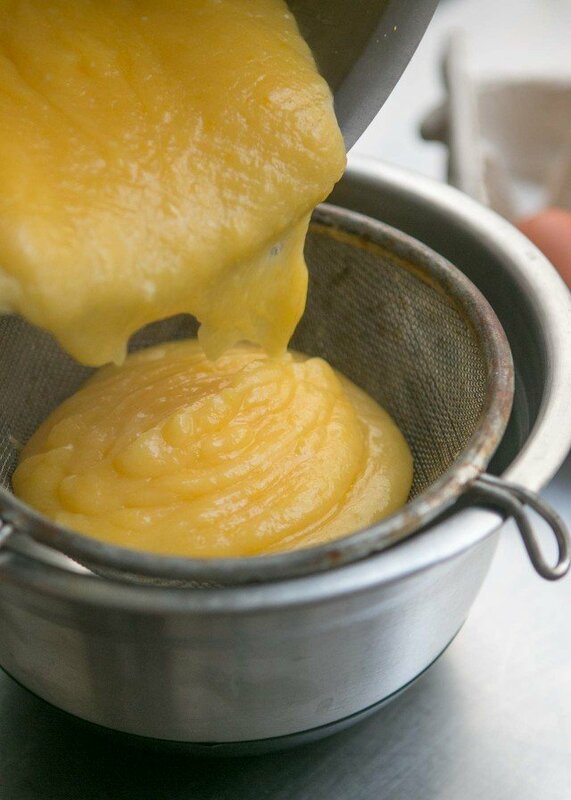 Lemon curd freezes beautifully and thawing can be hastened in lukewarm water. With one of Paule’s “noisette” shells pre-baked, one can make tarte au citron practically for breakfast. I made this tart yesterday for a dinner with 2 other couples to plan our trip to France for next Spring. It was a HUGE hit. My tart shell was not quite as golden as yours – probably b/c it wasn’t spread as evenly so some parts were darker than others but no one seemed to mind and it was gone in a flash. This recipe is in the ‘keeper’ file. 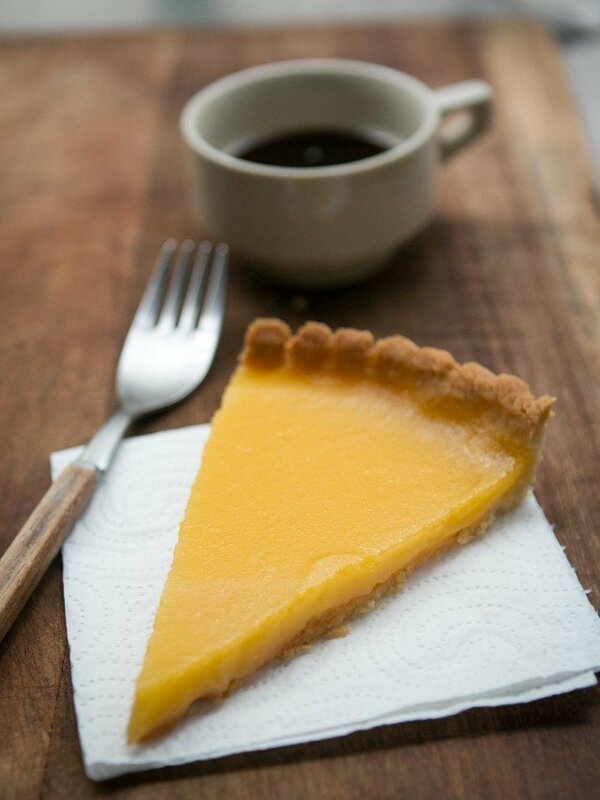 Love the photography…especially shooting the tart half on and half off the counter with the furthest rim blurred. Very nice. I am not much of a baker………..but, the simplicity of the recipe piqued my interest enough to give it a try. It was quick, simple, and delicious. I even bought a tart pan so I could try it out. Have since made an apple tart (Jacque Pepin’s recipe), but using this pie crust, and it came out great. Great recipe……….and, I love the blog. Thanks for the kind answer, David, and the pointer to the chocolate coconut macaroons. I’ll have to try those – along with the tart, which with any luck I’ll be making this weekend. I’m a new reader, but I’m really enjoying the blog. I love angel food cake with berries, too. @ila: Tarte au citron for breakfast! Now I know I’m among my people. This is a wonderful blog, David. Thanks for sharing your gifts with us. Would you consider exploring some recipes of those delicious French jams I have pined for over the past ten years? I just LOVE lemon tarts. This looks wonderful! Mmm. This looks delish! I have made double the amount of lemon curd, and am pleased to know it can be frozen. It came out very light and creamy coloured, sadly not as darkly lemony as yours-any tips? If there’s a farmer’s market or natural foods store in your area, try buying eggs from them, which often have lovely dark yolks. Thanks David. I live in London and though the eggs were free range they were from the supermarket. I used the extra curd with mascarpone and cream cheese to make mini cheesecakes. Thank you SO much for sharing this recipe, David. It was fantastic. I had given up on making pie crusts, and struggling with those little pea sized bits of butter, and not overworking them to avoid the crust tough, etc. etc. This recipe has resuscitated tart making in our house. It was like magic!! And, you are so right about the color of American supermarket eggs, very pale. I went to the local farmers market just for eggs to try out the lemon tart, and farmers market eggs make the loveliest deep yellow. You can also almost always find eureka lemons at the farmers markets as well, which to my taste, have the best lemony flavor of all. Lemon tarts! My favorite dessert after carrot cake. Thank you for this wonderful and simple recipe. I made it last night for guests and looked like a real hero. My only regret is that it is already gone. I may just make another for the family. I found this recipe by googling because I couldn’t find my simple French one that has been chasing around here for years. I didn’t like what happened with the egg whites – they cooked into white globs, necessitating that whole straining process very seriously to save the face of the pie! Must not have beaten my eggs well enough. I think the French one I had just used pure yolks. But it *was* good! Hi Karin: If it’s not setting, it’s likely that the curd isn’t being cooked enough on the stovetop. Cook the filling until it appears to be almost jelly-like and starts to mound up and hold a shape. You could also try adding another egg yolk or egg, just to see if that works. But I’ve used both my recipe, and the Chez Panisse one, a lot and never had problems. Good luck! Thanks, David! I can’t wait to try it again. I’m glad I came upon this blog – it brings back great memories of my year in Versailles where I was inspired to start cooking. The last tart I made the lemon curd came out slightly grainy and tasted a bit “off”. Always before the curd was silky smooth and I am just curious to know why a curd might get grainy like that? I made it on a stove unfamiliar to me that runs crazy hot, so my guess is that I either over or under cooked the thing. if it tastes off, it may be your lemons. Sometimes they just taste musty, so if they have any soft spots (or even green fuzzies) you can’t just cut that off–usually that taste permeates the whole fruit. How do you store your tart shells in the freezer? Just wrapped in cling film? Do they keep for long? Hi Nick: I wrap them securely in plastic wrap, then store them in the freezer (baked or unbaked) for up to one month. I normally defrost on the counter. I just found this recipe and love it. I substituted blood orange and sour orange juice for the lemon and backed off the sugar a bit (I could have backed it up a bit more.) It is delicious, but I can decide if I love or hate the salmony-pink color the curd turned out to be! I used your French tart shell recipe to make the crust and the lemon curd recipe here. I made this tart for dessert today using lemons and blueberries from the farmers’ market. It was absolutely delicious; the five of us left a mere wedge on the table! I plan on trying it with lime juice soon as well. Just making this tart right now. I doubled the recipe but put it in for 5 min and it doesn’t seem set. I am going to leave it a bit longer – assuming that because I doubled it for more filling that it should take longer to set? This is the BEST lemon tart recipe I have ever made. The tart shell is so easy to make and wonderfully crisp. The lemon curd is creamy and tart. I have already made 2 this week and they go down a storm! i’d like to start by saying that i’m a fifteen year old girl from albany, new york who loves writing, food, and travelling. formerly a spanish student, i switched to french this year because i found my kindred spirit in a french teacher at my high school. not only do i have a sudden infatuation with all things french, but lately i’ve been totally and completely obsessing over cooking anything and everything, so when i got an english assignment to make a 4 course french meal, i was simply elated. a friend of mine recommended this site to me, and i kind of kept it as a thought in the back of my head. but looking for a tarte au citron recipe today, i rediscovered the magic of david lebovitz. thank you so much for this recipe! i also made your tarte shell recipe and the tarte looked amazing and was simply to die for. it was definitely a favorite amongst the uncultured palets of my tenth grade english class and some of the french teachers even decided it was some of the best tarte au citron they’d tasted. merci monsieur lebovitz! Hi David, I made this tart today and loved it. It’s so refreshing and light. Just to be sure about the instructions… when you say “until the mixture thickens and almost begins to bubble around the edges”, does that refer to tiny foam that gathers around the side of the pot? How will I know when the mixture almost begins to bubble? Thanks for the lovely recipe. I enjoyed it very much.